While we use our devices for everything from watching movies to browsing the net and checking social networks, let's not overlook the fact that, at their core, they're still called smartphones. 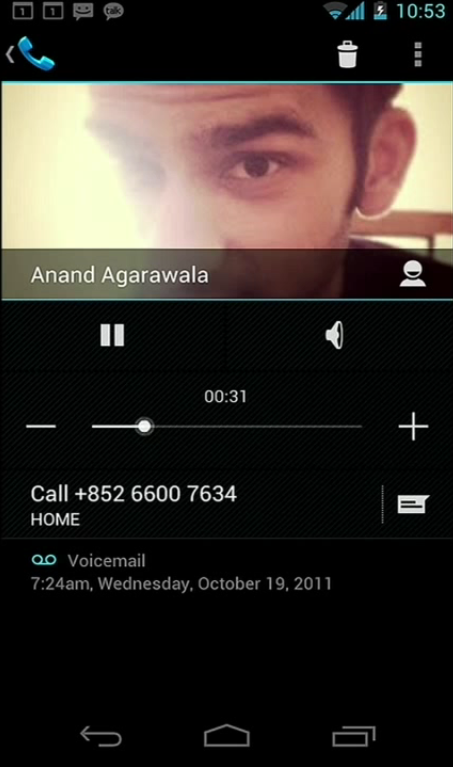 As such, the dialer and contact app -- now called People -- in Ice Cream Sandwich have both received a major overhaul. 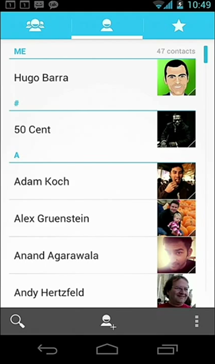 The People is, of course, based on the current Contacts app, but it has been totally redesigned to be more intuitive, easier to use, and provide all the information about your contacts in one centralized location. 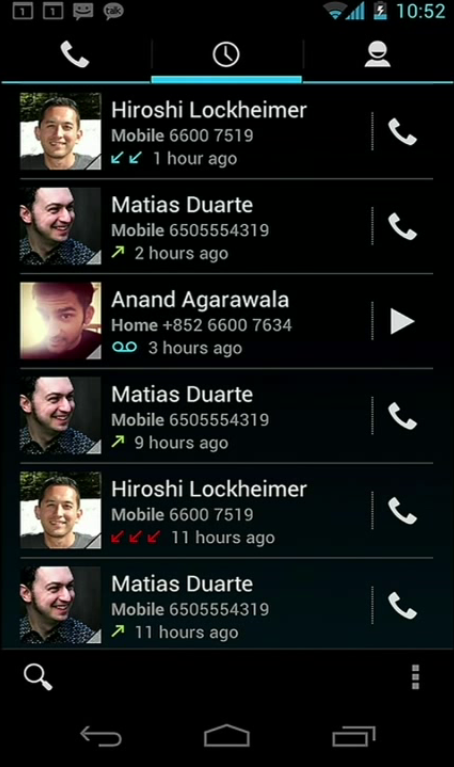 The main screen offers the typical list of contacts, but instead of being tabbed like the current version, it's swipe-able (like most things in ICS). A quick right-swipe takes you to your favorites, which is now little more than high res images of the people in the list. It's clean, looks good (albeit a bit WinPhone 7-ish), and functional. 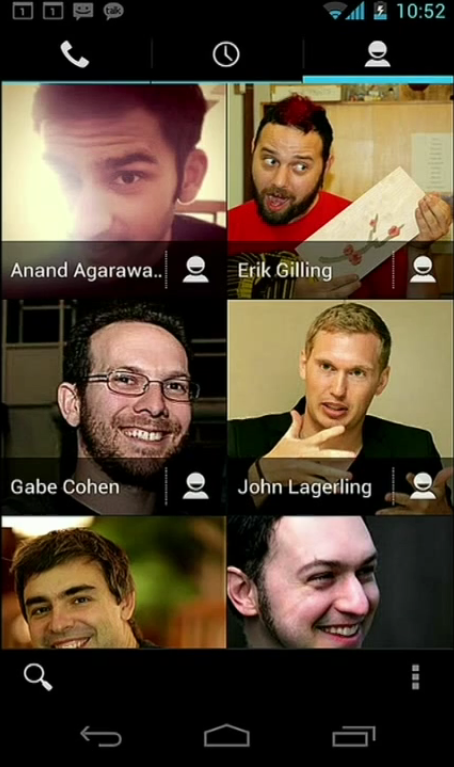 I'm not entirely sure what happens when one of your favorites is missing a picture, but I imagine a generic placeholder icon takes the place instead. 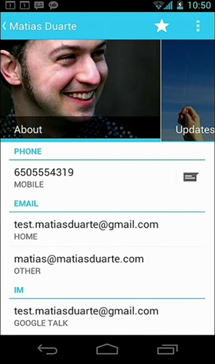 Tapping on any contact takes you to their contact info, including all associated social networking sites. Tap on any of the listed networks and you'll go directly to the respective page. 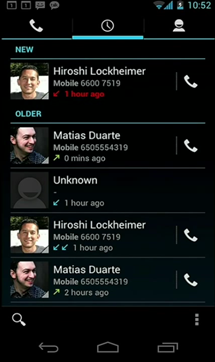 This makes keeping up with your contacts (read: stalking) extremely simple. 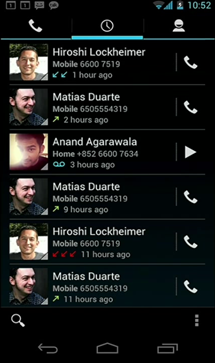 The People app is also directly integrated with the new dialer. 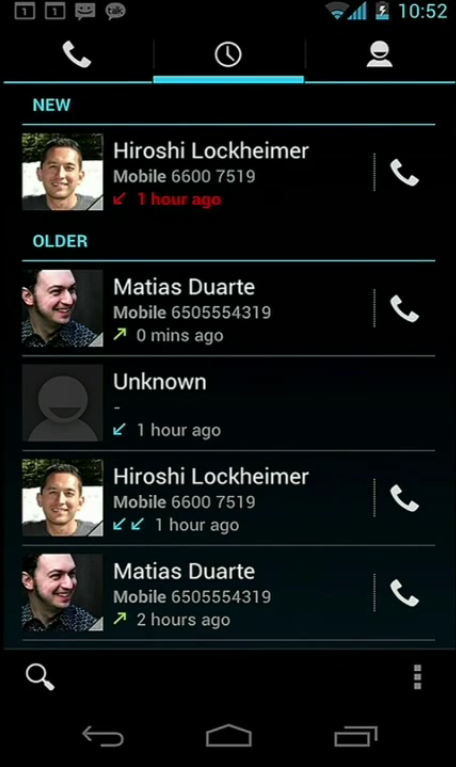 As you can see in the photo on the left, the Dialer has received a visual overhaul, which gives it a much sleeker, more modern overall look. The recent section still sports the same functionality we've all become accustomed to, which includes quick callback functionality. 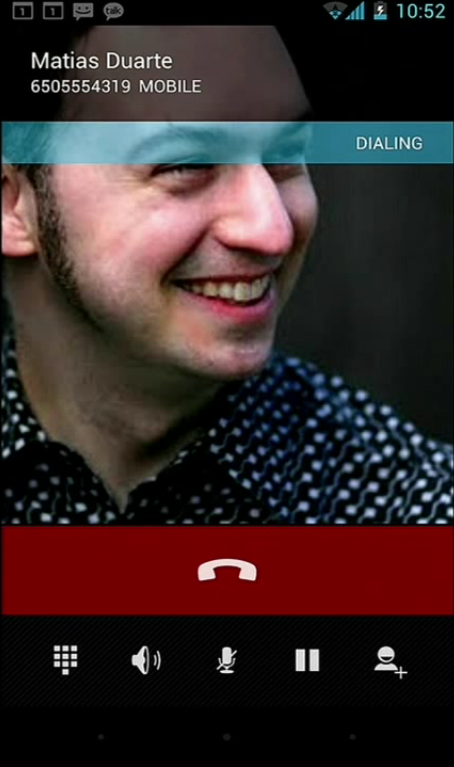 A quick swipe to the right takes you back into your favorites list, while tapping on a contact from this screen will call them (instead of take you directly into their contact card like with the People app) since it's embedded in the dialer. The dialer also brings a new feature to the table that I can personally guarantee that I will be using between two and seventeen times per day: quick response. 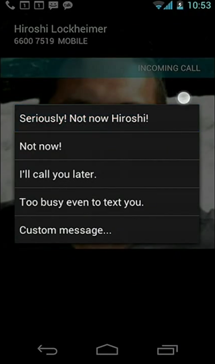 It's awesome -- now, when someone calls at an inopportune moment, instead of ignoring the call, you can simply swipe up to send them a quick text message to let them know you're not available. Brilliant. There's also a new way to handle voicemail, and this one doesn't involve the old-school method of entering a pin number and manipulating settings using the dialpad. You can play voicemail, fast-forward it, delete it, and more directly from the dialer app. During the demo, Hugo used a Google Voice message, so I assume that this feature will only be available to Voice subscribers and probably won't be compatible with carrier voicemail services. 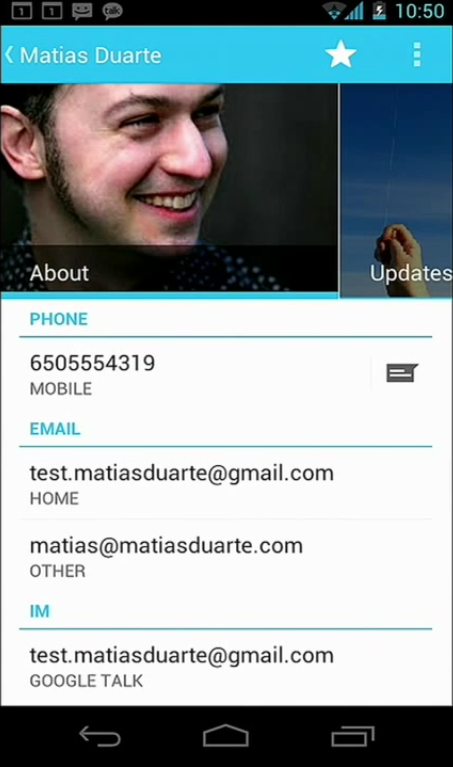 That's just a quick look at what's new in the Dialer and People apps, and I'm sure there's a lot more little goodies that have yet to be uncovered.